The month of August is a good time to keep tabs on Ben Nicholson Smith's continuously updated Players Who Cleared Waivers post. Chris Capuano, Mets - Capuano owns a 3.74 SIERA as of August 14th and earns only $1.5MM plus incentives, so it's hard to see why a few teams didn't place claims. Bronson Arroyo, Reds - His peripheral stats haven't changed much, but Arroyo has a 5.31 ERA as of August 15th. $15MM of his $35MM contract is deferred through 2021 without interest. The deferrals are voided if he's traded, however. At any rate, expect Arroyo to stay put. Jason Vargas, Mariners - Like many of the starters here, Vargas' fastball wouldn't break a window. 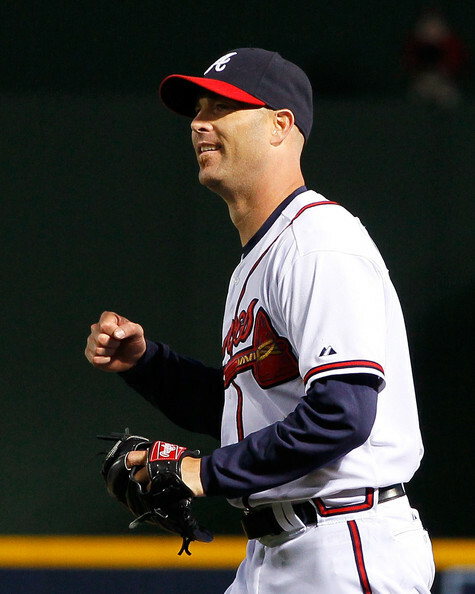 But he has less than a million bucks left on his contract this year and is under team control through 2013. He'd fit nicely at the back end of several rotations. 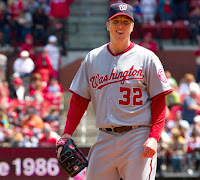 Tom Gorzelanny, Nationals - Booted to the bullpen last month, the 29-year-old flyballing southpaw has posted strong strikeout rates in recent years but can't hold a rotation job. Ted Lilly, Dodgers - He always has strong strikeout-to-walk numbers, but is prone to the longball. With over 82% of his $33MM contract remaining ($27MM+), it's no surprise he cleared waivers. At first, I thought Capuano was the best option for a contender, especially someone like Arizona who's home stadium is good for left-handed hitters. Just for fun, I geeked it up and looked at Team xFIP stats versus left-handed and right-handed hitters. Then, I looked at a few stats for the five guys above to see if any of them may be relatively good options. guy pitching well in the South Side. 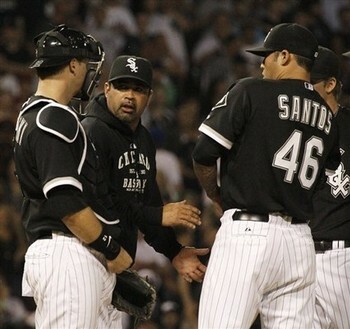 If anything, this could give White Sox fans reason for hope this season. By these metrics, they have the best pitching in the American League. The Yankees are right there, too, and their offense trumps what Ozzie and Company have as a lineup. The Diamondbacks' ineffectiveness against right-handed batters was surprising. My first instincts may have been right, and Kevin Towers should call his old boss, Sandy Alderson, to make a swap for Capuano. When it comes to the low-priced options, really any contender could justify a low-risk, high-reward gamble. Gorzelanny may be a LOOGY for years. Um, Gorzelanny and Capuano can get hitters out. They'd both be good, low-risk moves for just about anyone. Sandy, we have Kevin on the line. It would be great to see Alderson and Towers make a deal after their employer/employee relationship in San Diego. Lilly and Arroyo are overpaid. They'll probably battle for the next couple of years as starters, but they would be more effective in the bullpen. Jason Vargas is a good gamble for a non-contender because he's under team control for next year. He may not be an elite pitcher, but he's left handed. Thanks to Fangraphs for the stats.